Every person has strong emotions and specific visions about how he/she should use money. So when two people get married, the oft-differing perspectives can create all sorts of difficulties. If left to the changing winds of emotions and assumptions, money tension can effectively end marriages, or at least render them unfulfilling. Scott and Bethany Palmer are not trained marriage counselors, but they are financial counselors who've seen their fair share of marriages devastating by money difficulties. 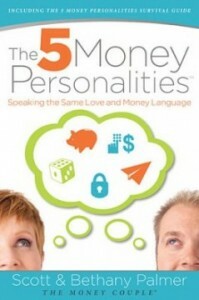 In The 5 Money Personalities: Speaking the Same Money and Love Language, they walk through their self-identified 5 "Money Personalities" for the purpose of addressing the potential for conflict in marriage over money. They especially emphasize ways to make differing personalities work together. The second-half of the book deals largely with the emotional foundations of financial conflict in marriage. They address the role of financial infidelity and take an honest look at why it hurts so much. They close the book with practical strategies for maintaining healthy communication in marriage when it comes to money, including how to "fight fair." I can't say that I enjoyed reading the book. But the majority of the reasons why I didn't are largely "external" and related to how the book was organized and approached. The content of the book is especially helpful, however. I highlighted over 30 quotes in my Kindle for future reference. It's clear they know what they are talking about. I just think they could have had some better advice or editing when it comes to laying it out clearly in the book. I was especially intrigued by the notion that criticism about our money personalities is extremely painful because we feel as though our perspectives about money are noble, right, and in the best interest of our marriage. There are a lot of helpful and eye-opening aspects to the material here. Though it's ideally written toward all married couples, I would only really recommend it to couples with particularly strained relationships. It would also be helpful for those who counsel couples with financial difficulties or those with specific financial interests. 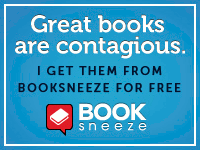 Disclosure of Material Connection: I received this book free from the publisher through the BookSneeze®.com <http://BookSneeze®.com> book review bloggers program. I was not required to write a positive review. The opinions I have expressed are my own. Andy Stanley can do a lot of things REALLY well (lead groups of people, preach, write, etc.). One thing he cannot do is navigate a vehicle with a keen sense of direction. He uses his directional disorientation--and several entertaining examples of it--to demonstrate the power of The Principle of the Path, which is defined as: "Direction--not intention--determines destination." As a principle, it is true for every person in every place in every time. Stanley acknowledges that he is merely verbalizing and illustrating the principle's power. 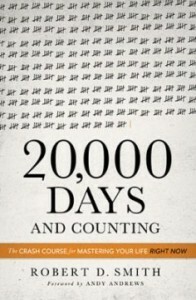 I am highly impressed by the message of the book. Though most who read the book will likely agree with Stanley's Christian perspective and his appeal to the Bible, the principle itself applies to those who don't share the same perspective. As one who teaches the Bible to young people on a regular basis, one of the greatest compliments I can give the book is the degree at which I've been incorporating its material into my lessons. From lessons about purity, friendships, and finances, I've been able to effectively apply the truth about the principle. As a piece of literature, The Principle of the Path may not be as well-written as Communicating for a Change or Visioneering. Though I do recommend both of those titles for church leaders/ministers, I give a higher recommendation to Principle of the Path because of its universal and paradigm-shifting message. Stanley also offers the material in a series of audio sermons (entitled "Destinations") from North Point Community Church outside Atlanta. 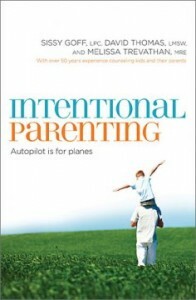 Reviewed as part of Thomas Nelson's Book Review Blogger program. Side Note: I was delighted to see Julie Faires listed as the cover designer for the book; we were members of the same social club in college. Great job, Julie!